Special clinical interests in non invasive cardiac imaging. 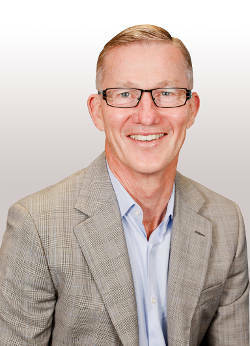 Dr Geoff Holt is the founding partner of the practice. He completed his FRACP in Queensland before undertaking four years of cardiology training in the USA, including two years at Mayo Clinic. Dr Holt initially practiced as a interventional cardiologist. His activities are now focused on clinical consulting with a particular interest in aviation medicine and the cardiovascular problems encountered by athletes. Dr Holt strongly supported the development of GenesisCare Cardiology Partners’ fully electronic medical record, which has enabled the practice to commence monitoring the quality of care delivered and guideline adherence. Dr Holt’s practice is at the Wesley Hospital, and Mt Ommaney, he visits Rockhampton.